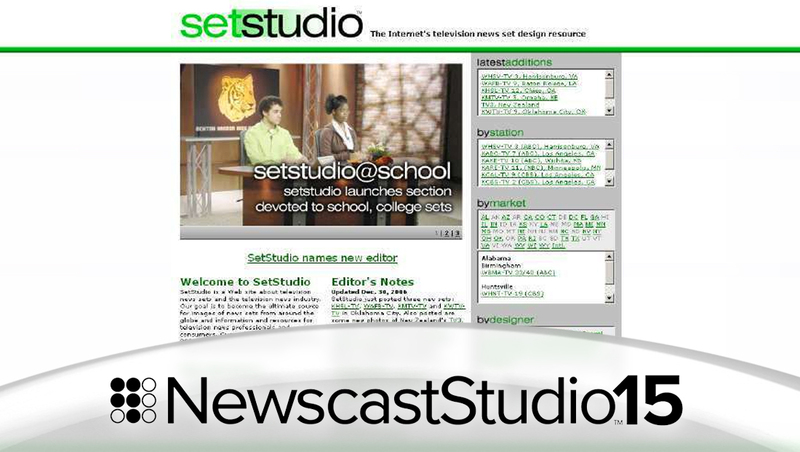 From a design standpoint, not much changed in 2007 for SetStudio, the site that would become NewscastStudio. Behind the scenes, however, two key changes were announced in 2007 — first, Dak Dillon, our current managing editor, joined the SetStudio team as editor. Second, as SetStudio’s traffic continued to grow, a second domain, setstudioimages.com, was set up on a separate server in order to serve the large number of images the site hosted. Although this practice is no longer necessary, it is a testament to the volume of image files the site features.